Liz put the fundamental purposes of DCC better than I could: access, community, intellectual inquiry. I am so proud of the folks at CA who used DCC in such creative ways, as a learning resource, but also as a way to share knowledge with others and have fun themselves. It shows the potential power of getting students involved in scholarly digital projects at every appropriate level. Here’s hoping DCC can be part of more wonderful projects like this in the future! This workshop will consider the art of commenting on Latin poetic texts, first as it has been done in recent years for English-speaking audiences, and then, in open discussion, considering how it might be done in the future for Chinese-speaking audiences. While scholars sometimes think of commenting on a text as an objective process of collecting the facts necessary for full understanding, in practice, the question of audience is paramount. Commentators mediate a text for an imaged reader, and must have a sympathetic awareness of what that reader needs, desires, and can process or understand. In addition to supplying felt needs, however, the commentator can actively lead and model humanistic practices: the precise appreciation of poetic language, close reading, cultural literacy, and skill in translation. 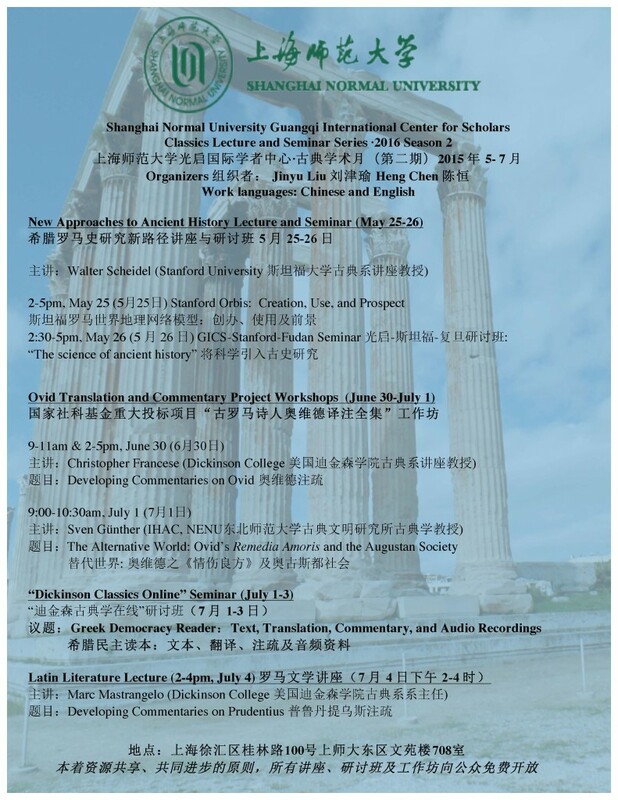 The workshop will analyze some good examples of this kind commentary in English on Ovid, then invite a forward-looking brain-storming session on how best to enhance the experience of reading Ovid for Chinese readers of Latin literature. Topics will include the art of the interpretive paraphrase, gloss, and summary; some reliable resources for finding information about geography, mythology, grammar, Roman customs, and rhetorical and literary devices; and techniques of commenting on style and tone. 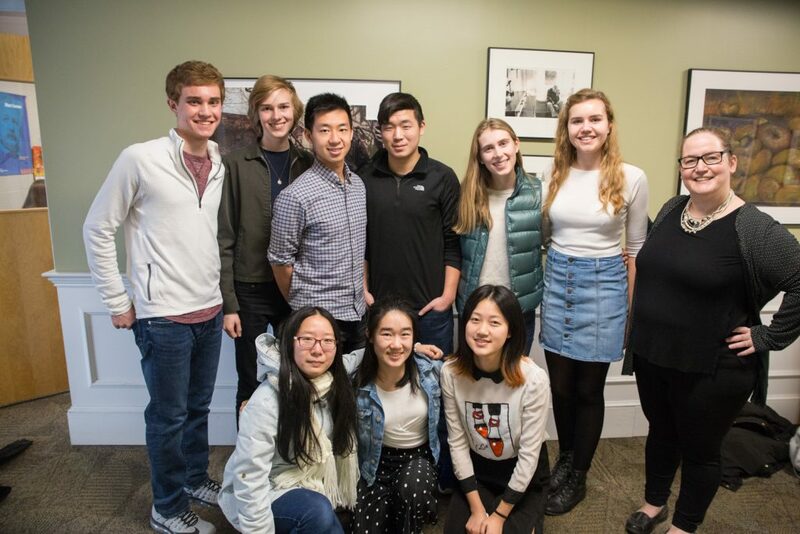 Prof. Liu is the Principal Investigator of “Translating the Complete Corpus of Ovid’s Poetry into Chinese with Commentaries,” a multi-year project sponsored by a Chinese National Social Science Foundation Major Grant (2015-2020). She is collaborating with more than a dozen scholars from four countries A full conference with a very impressive roster of speakers will be held in Shanghai in May 31-June 2, 2017. I am not directly involved with this project, but it served as a useful handle to think about a commentary-writing workshop in Shanghai, helping achieve a more concrete focus for what is a rather terrifying topic. My own activity as an editor on DCC has given me lots of particular ideas and preferences, but the last thing I would want to do is foist those on a Chinese audience. The really exciting thing here is the opportunity to reinvent the genre in a different context, taking the best aspects from the traditions of European commentary and liberating new energies. My goal is to show a few examples of what I think are particularly good recent instances in English, and let the discussion go where it will. Looking forward to a stimulating discussion!